267 x 198mm, 126pp, Nearly 500 colour photographs. With fewer chemical pesticides available to the amateur grower the possibilities of biolgical control of pests using pest predators and pathogens are becoming more important to consider. Increasing availability of such biological materials has also increased interest. For sucessful use, however, it is vital to have a good knowledge of the life cycles of the pests concerned. 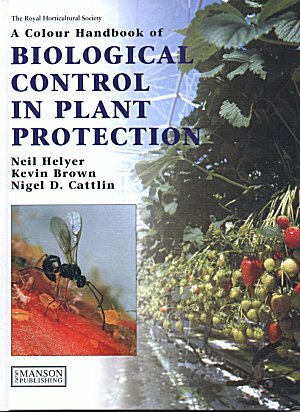 This book fills this gap admirably as it is written by professionals who have spent many years studying and researching the field and advising commercial growers on pest control stragies. Although not specific to cacti and succulents the book does cover all the key pests and the extensive illustration make identification easy and a range of suitable biological control methods for each is recommended.